If you’re a marketer and you get a chance to see Marcus “The Sales Lion” Sheridan give a presentation, do yourself a favor: Don’t miss it. Sheridan, who wears his hair close-cropped and barks at his audience, delivers his presentations like a content marketing drill instructor. He’s enlightening, entertaining, and will make you feel good about your choice of profession. 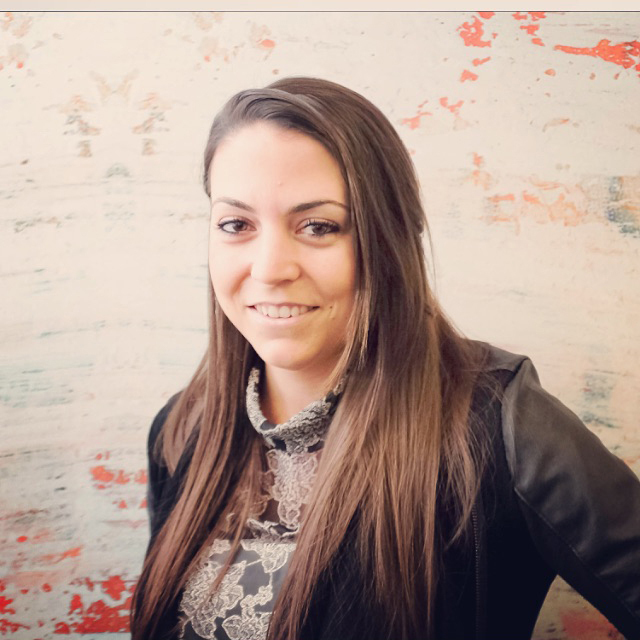 In a session at Social Media Marketing World, Sheridan made the case that in this digital era 70 percent of the purchase decision is complete before a potential buyer reaches out to a salesperson. What that means is that marketing is doing the selling. Sheridan wasn’t the only one spreading the good news about the power of content marketing at Social Media Marketing World. 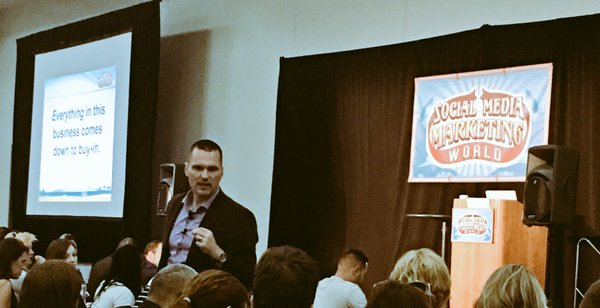 Here are 6 pieces of good news from #SMMW16 about how content and social media marketing can help your business. Keeping a complete and updated LinkedIn profile can actually help your marketing. In her session at Social Media Marketing World, Stephanie Sammons showed why marketers should keep their LinkedIn profiles up to date. “Your LinkedIn profile is your professional identity online,” she said. She offered a series of simple tips on how to boost the selling and marketing power of a LinkedIn profile. She recommended building your profile around a strategy: How should potential customers view you? Here are three key questions your profile should answer: “Who are you? Who do you help? How do you help?” Sammons said. To accomplish this, she offered some specific tips: Get a professional photo, look directly into the camera, and smile. “Eye contact (even in a photo) helps build trust,” she said. Second, think about LinkedIn as a professional search engine and make sure to include in your profile keywords you’d like to rank for. These keywords can be placed in the headline, experience, skills, and interests. She also recommended writing your profile in the first person. Writing in the first person can help display your passion and help you “make that human connection,” something the best LinkedIn profiles accomplish. Publishing long-form content on LinkedIn can boost your personal brand. Posting can provide more value to prospects who view your LinkedIn profile. Your connections are notified each time you post. Your LinkedIn connections can share your posts to a larger audience, i.e., their own LinkedIn network. Your post can be selected to be featured on Pulse, which extends your reach beyond your own network and to wide exposure on the LinkedIn platform. Your post can position you as an authority. You are the person you're trying to reach. We end up writing for the people who are approving our content and those who give us budgets. And amidst all of the editorial calendars, tech stunts and real-time marketing programs, we’re moving away from true thoughtfulness. Behind every screen, every expression and impression is a human being, not a consumer. “Businesses are no longer the sole creator of a brand, it is co-created by consumers through shared experiences and defined by the results of online searches and conversations,” Brian said. People will never forget how a brand made them feel. Therefore we need more mindfulness, less strategy. We mustn't forget that we are the people we’re marketing to. Good content is no longer the finish line. It's the starting line. Good content doesn’t become great until you have a solid distribution plan set up. Mark Schaefer shared the same sentiment in his session about the ROI of social media. “The economic value of content that is not seen or shared is zero,” Schaefer said. Marketers must understand that creating good content is not the end. There is so prize for hitting publish. Publishing good content is the beginning of a journey of distribution and amplification. At LinkedIn Marketing Solutions, we use Sponsored Content to get our message in front of those who matter most to our business. Sponsored Content allows you to publish relevant content directly in the feed to reach a targeted audience beyond just your Company Page followers. Discover Sponsored Content success stories and get a 6 minute launch tour here. Alleviate your audience’s pain points with ‘fist pump’ content. First impressions are very important. Whether you’re aware of it or not, you’re silently assessing others immediately when you meet them. The same goes for new blogs and new content. You have one shot to gain the attention of your audience and leave a favorable impression. How can you ensure you entice your readers to come back? Darren Rowse said you must “make a promise of pain relief or gain creation”. Make a list of your audience’s pain points and then create content specifically designed to help resolve them. Rowse and his team create ‘fist pump content’, content that delivers a quick win for his audience, at least 10 times a week. This will turn casual readers into a loyal community and allow your company to build thought leadership in the process. Podcasting still a big deal for marketers. While live video continues to be all the rage it was great to see a track dedicated to podcasting this year. We launched the Sophisticated Marketer’s Podcast last year and have found great success but we are looking to take it a bit further. Podcasting expert Paul Colligan delivered an eye opening presentation that showcased the best way to do more with your podcasts. For example, once your podcast is done recording and you post it to iTunes, that’s just the beginning. Now it’s up to the marketer to turn on the promotion machine. Colligan laid out a master plan that included transcriptions, quote cards for social, eight second video teasers and more. This is something we will certainly be applying to our podcasting strategy moving forward. Colligan also mentioned how Google is working on “listening” for keywords in podcasts as the search engine continues to evolve. Podcasting audio keywords playing a role in rankings? It could happen. Mind-blown. Download The Sophisticated Marketer’s Guide to Content Marketing to get informed, inspired, and motivated to rock content marketing in your organization.